The messenger from the Pentagon to Congress for the new president will be the same messenger used by the old preident: Robert Gates. Gates goes to the Congress today to discuss the future of the new President’s plan for Iraq, Afghanistan and probably some on the new defense budget…. In a national security assessment that he will give to Congress later Tuesday, Gates also says the international effort to fight Afghanistan’s growing violence has been “less than stellar” so far. In a copy of the testimony obtained by The Associated Press, Gates says it will take a long and difficult fight to rout insurgents and help develop an Afghanistan that rejects the Taliban and backs its elected…. President-elect Barack Obama will probably tear down long-standing barriers between the U.S.’s civilian and military space programs to speed up a mission to the moon amid the prospect of a new space race with China. Obama’s transition team is considering a collaboration between the Defense Department and the National Aeronautics and Space Administration because military rockets may be cheaper and ready sooner than the space agency’s planned launch vehicle, which isn’t slated to fly until 2015, according to people who’ve discussed the idea with the Obama team. The potential change comes as Pentagon concerns are rising over China’s space ambitions because of what is perceived as an eventual threat to U.S. defense satellites, the lofty battlefield eyes of the military. 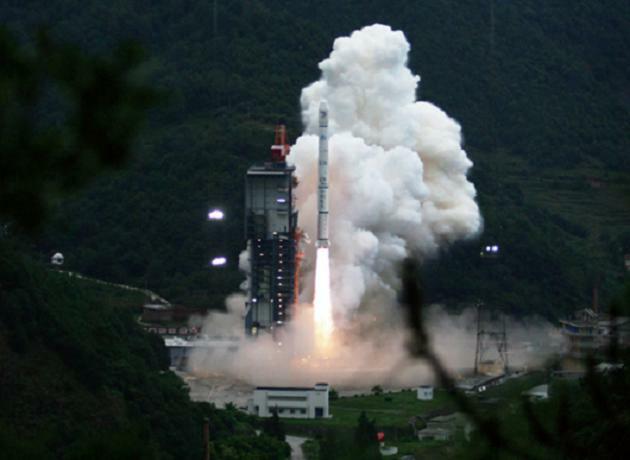 China, which destroyed one of its aging satellites in a surprise missile test in 2007, is making strides in its spaceflight program. The military-run effort carried out a first spacewalk in September and aims to land a robotic rover on the moon in 2012, with a human mission several years later. President-elect Barack Obama‘s selections of James L. Jones, a retired four-star Marine general, to be his national security adviser and, it appears, retired Navy Adm. Dennis C. Blair to be his director of national intelligence present the incoming administration with an important opportunity — and a major risk. 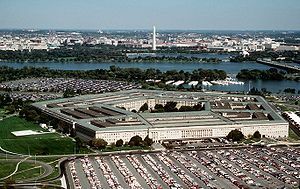 These appointments could pave the way for these respected military officers to reverse the current trend of Pentagon encroachment upon civilian government functions, or they could complete the silent military coup d’etat that has been steadily gaining ground below the radar screen of most Americans and the media. While serving the State Department in several senior capacities over the past four years, I witnessed firsthand the quiet, de facto military takeover of much of the U.S. government. The first assault on civilian government occurred in faraway places — Iraq and Afghanistan — and was, in theory, justified by the exigencies of war. The White House, which basically let the Defense Department call the budgetary shots, vastly underfunded efforts by the State Department, the Justice Department and the U.S. Agency for International Development to train civilian police forces, build functioning judicial systems and provide basic development services to those war-torn countries. For example, after the 2003 invasion of Iraq, the Justice Department and the State Department said that they needed at least 6,000 police trainers in the country. Pentagon officials told some of my former staffers that they doubted so many would be needed. The civilians’ recommendation “was quickly reduced to 1,500 [trainers] by powers-that-be above our pay grade,” Gerald F. Burke, a retired major in the Massachusetts State Police who trained Iraqi cops from 2003 to 2006, told Congress last April. Just a few hundred trainers ultimately wound up being fielded, according to Burke’s testimony. Until this year, the State Department received an average of about $40 million a year for rule-of-law programs in Afghanistan, according to the department’s Bureau of International Narcotics and Law Enforcement Affairs — in stark contrast to the billions that the Pentagon got to train the Afghan army. Under then-Defense Secretary Donald H. Rumsfeld, the Defense Department failed to provide even basic security for the meager force of civilian police mentors, rule-of-law advisers and aid workers from other U.S. agencies operating in Afghanistan and Iraq, driving policymakers to turn to such contracting firms as Blackwater Worldwide. After having set the rest of the U.S. government up for failure, military authorities then declared that the other agencies’ unsuccessful police-training efforts required military leadership and took them over — after brutal interagency battles at the White House. The result of letting the Pentagon take such thorough charge of the programs to create local police forces is that these units, in both Iraq and Afghanistan, have been unnecessarily militarized — producing police officers who look more like militia members than ordinary beat cops. 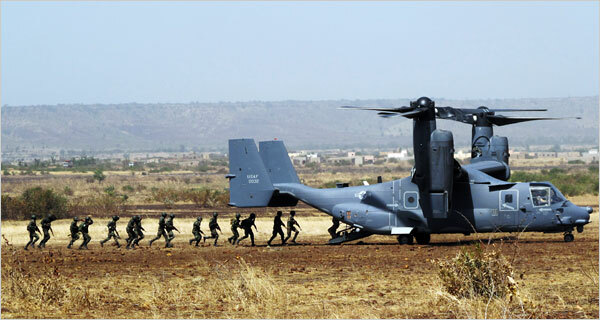 These forces now risk becoming paramilitary groups, well armed with U.S. equipment, that could run roughshod over Iraq and Afghanistan’s nascent democracies once we leave. Or consider another problem with the rising influence of the Pentagon: the failure to address the ongoing plague of poppy farming and heroin production in Afghanistan. This fiasco was in large part the result of the work of non-expert military personnel, who discounted the corrosive effects of the Afghan heroin trade on our efforts to rebuild the country and failed to support civilian-run…. You are currently browsing the archives for the Defense Department category.